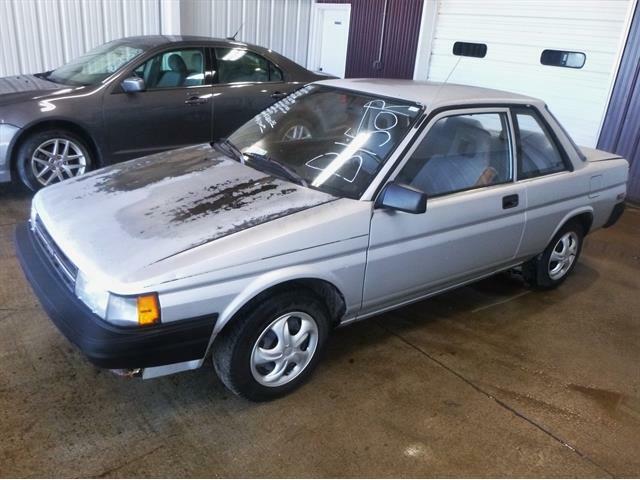 When you combine a need for speed with a desire to take on any terrain, you get the Pick of the Day, which is listed as a 1994 Toyota Recreational Vehicle. 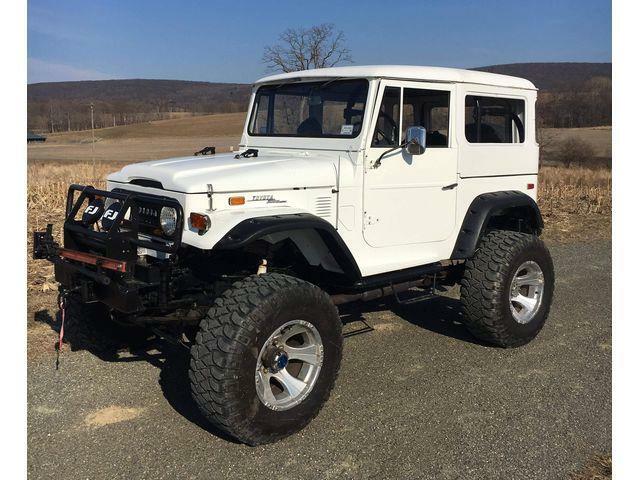 When you combine a need for speed with a desire to take on any terrain, you get the Pick of the Day, which is listed as a 1994 Toyota Recreational Vehicle, although it’s really an all-out race truck. 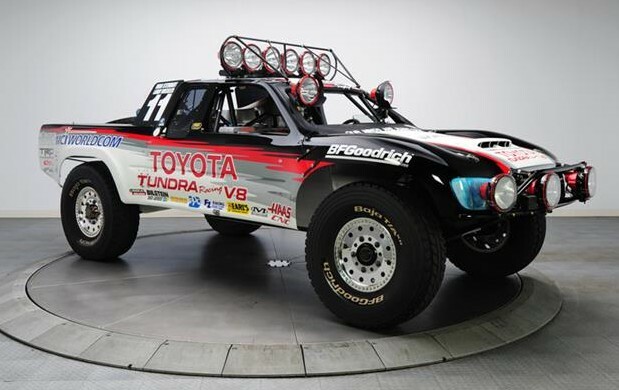 The Toyota is a performance vehicle at its core with rugged and aggressive styling, but what makes this one unique is that it was driven by Ivan “Ironman” Stewart, and its racing history includes winning the 1998 Baja 1000 along with four Baja 500’s. Stewart, a 2006 inductee in the Off-Road Motorsports Hall of Fame, was among the many talented athletes that made up Toyotas off-road race team, which came as a result of a partnership with Precision Preparation, Inc. (PPI) in 1983. 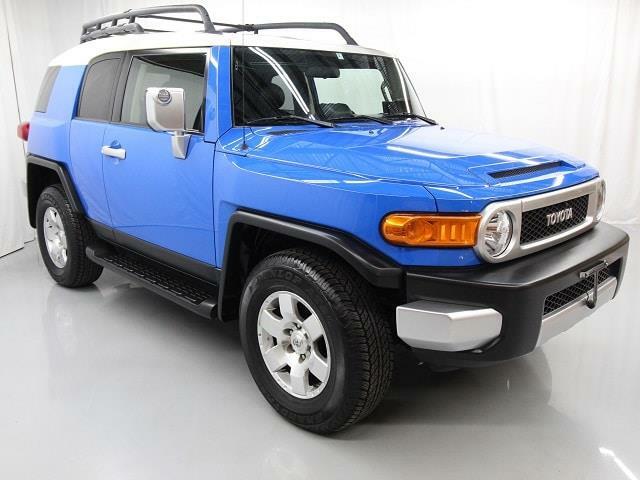 The team was formed with the intention of expanding Toyota’s motorsports portfolio, and it competed in the Mickey Thompson Off-Road Stadium Series and racked up 27 wins and seven championships in the SCORE Desert Series. For 17 years, Stewart and PPI dominated the world of off-road racing, and he earned the “Ironman” nickname by competing in entire desert races without a navigator or relief driver. Stewart’s efforts led to 17 MTEG wins and 17 Baja 500 wins, securing the record for the most all-time wins in each series. 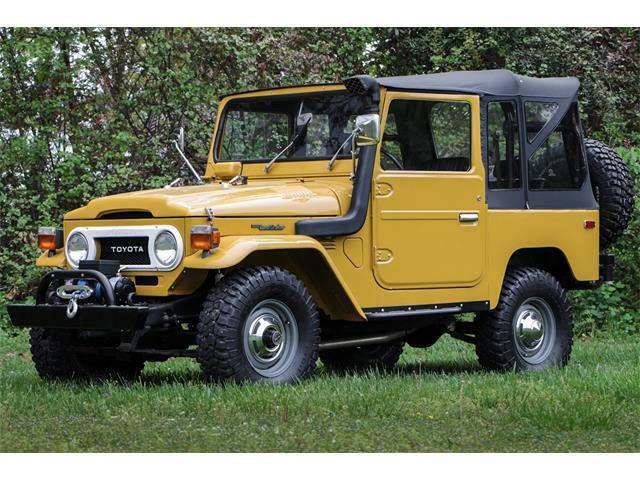 The 1994 Toyota Recreational Vehicle, or chassis number 015, became the final product of a successful off-road team after it was built in 1993 to replace PPI’s 010 chassis. 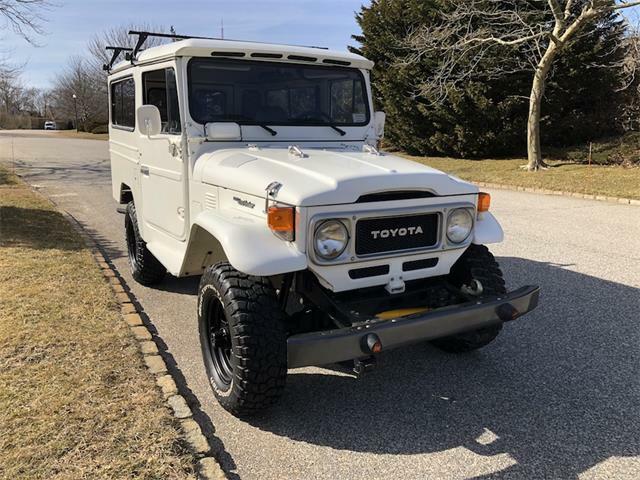 According to the listing on ClassicCars.com, the Toyota has recently undergone an extensive restoration performed by TM1 Motorsports, many of whose members made up the team that originally built the truck at PPI in 1993. Due to the significant racing history surrounding this truck, the build was closely watched by the TM1 Motorsports team in addition to off-road racing fans and has been documented and featured in Dirt Sports Magazine as one of the vehicles making up their “Masterpiece in Metal” series. A video was also created upon completion of the build and shows the truck tested in Barstow by Ironman himself. The video also covers the story behind the truck. The race truck features an aluminum 302 cid V8 that is loosely based on the 1UZ-FE Lexus engine. 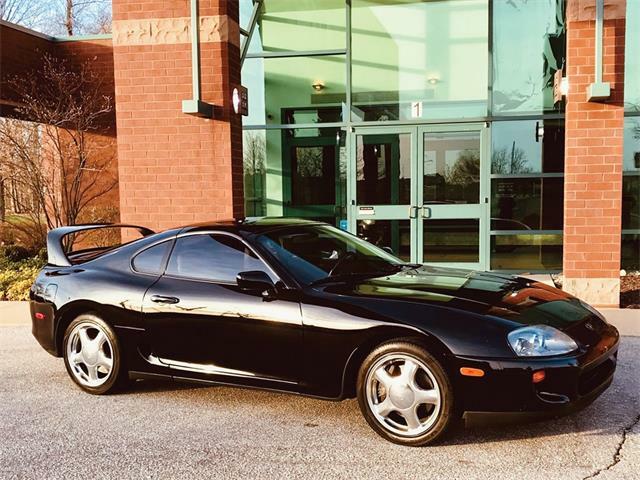 The listing states that the engine retains the dual-overhead cam four-valve configuration and features brand components true to the original build, such as JE Pistons and Carrillo Rods. 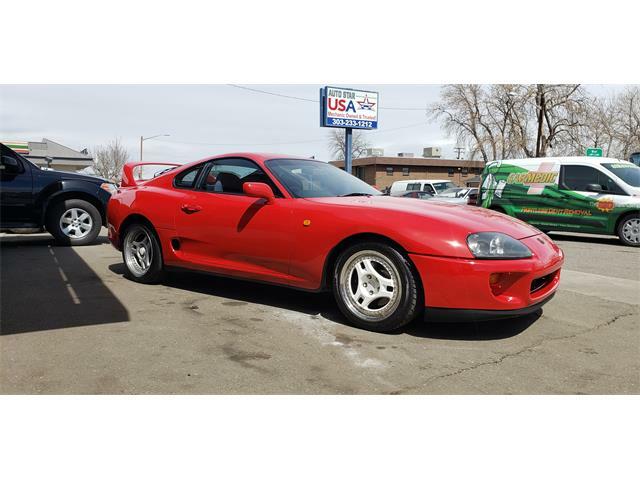 But every internal part has been custom built to PPI’s specifications which amass to a total output of 550 horsepower. Mated to the engine is a 5-speed Hewland VGC 200 transmission. 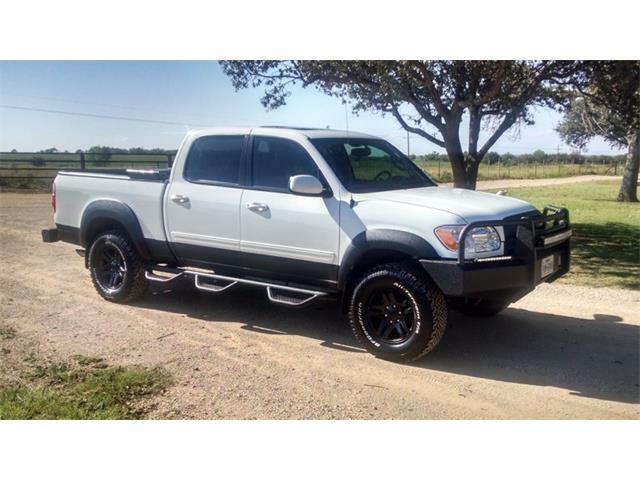 The listing says that the truck is quiet at idle but hints at its power through a tuned stainless steel Borla exhaust system when prompted. 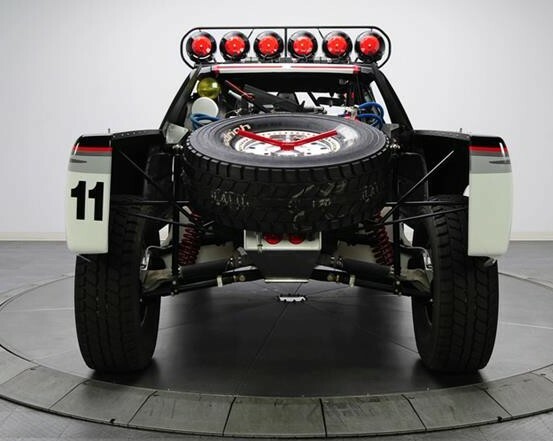 Because chassis 015 was used for off-road endurance races, it has a custom 42-gallon fuel tank. 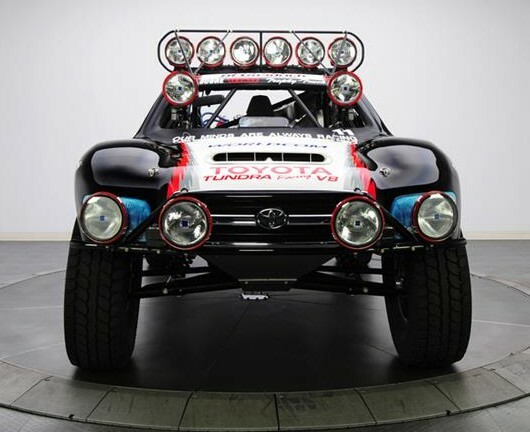 To allow for chassis 015 to race across the desert and dunes at speeds upwards of 135 miles per hour, the suspension utilizes a double A-arm setup with PPI coil overs and shocks tuned for compression and rebound on the front and rear of the vehicle. According to the listing, small jumps are easily handled as the setup is good for a total of 22 inches of travel. Many of the off-road courses on which this truck competed feature winding roads and sharp corners. The truck gains a competitive edge with PPI V2 power rack-and-pinion steering that ensures natural maneuverability at any speed, the seller says. Stopping the truck is a four-wheel-disc-brake setup with PPI rotators, Brembo calipers and a Tilton master cylinder. The truck takes on rough terrain with a set of PPI custom 17×7-inch, 48-bolt beadlock wheels wrapped in tall BF Goodrich 37×17-inch T/A KR’s. 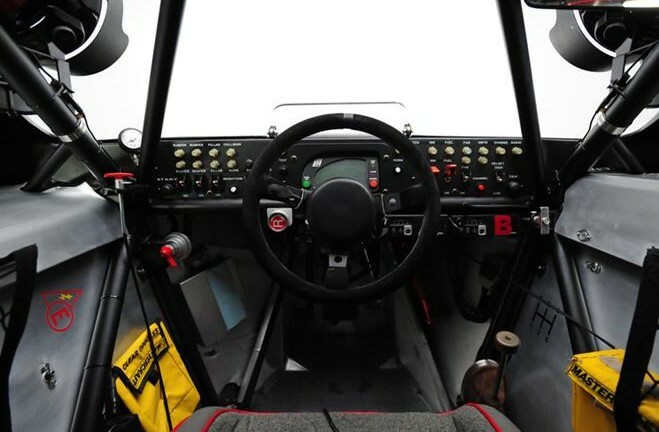 To race the truck, the driver sits in the center of the chassis in a padded Mastercraft race seat with four-point Simpson harness. 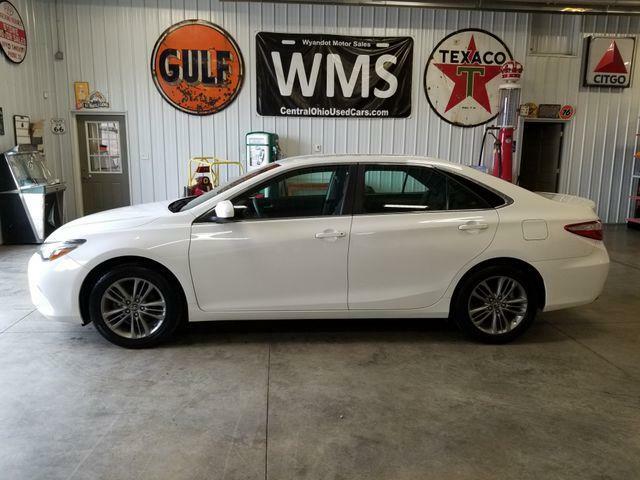 All of the gauges are located directly in front of the driver with the gear shift located on the right, where there is also a set of switches for the ignition, fuel pump, fans and other more-common features. To the left of the driver are toggle switches used to control the 12 Hella HID spotlights. Also within arm’s reach of the driver is a tool kit, Maglite and hydration system. The listing states that the truck’s shell was restored by a former PPI employee and features livery as seen during its final race, the Baja 2000, when Stewart was paired with Larry Roeseler, who drove the second portion of the race. Both drivers’ names can be seen on the number 11 tag located behind the cab. The race truck begs to be driven, so much so that according to the listing, the sale of chassis 015 includes the original chassis blueprints along with replacement parts such as quarter panels, fenders, and a brush guard and other parts so that if something breaks during a vintage racing event or the Baja 1000, the new owner is likely to have the replacement part. 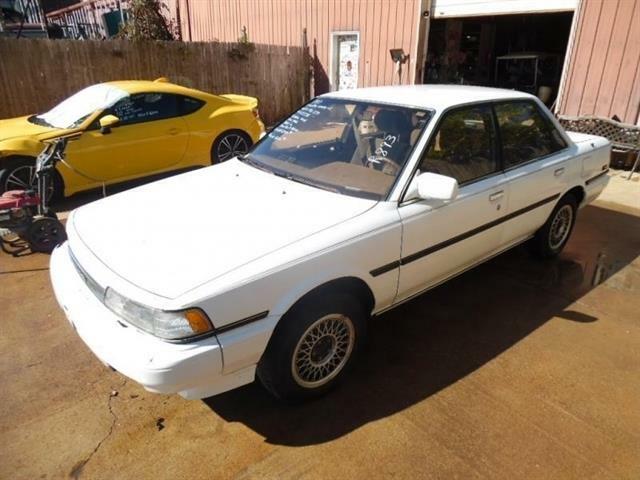 Currently the 1994 Toyota Recreational Vehicle listed on ClassicCars.com is located in Charlotte, North Carolina and is offered by a dealer for $299,900.